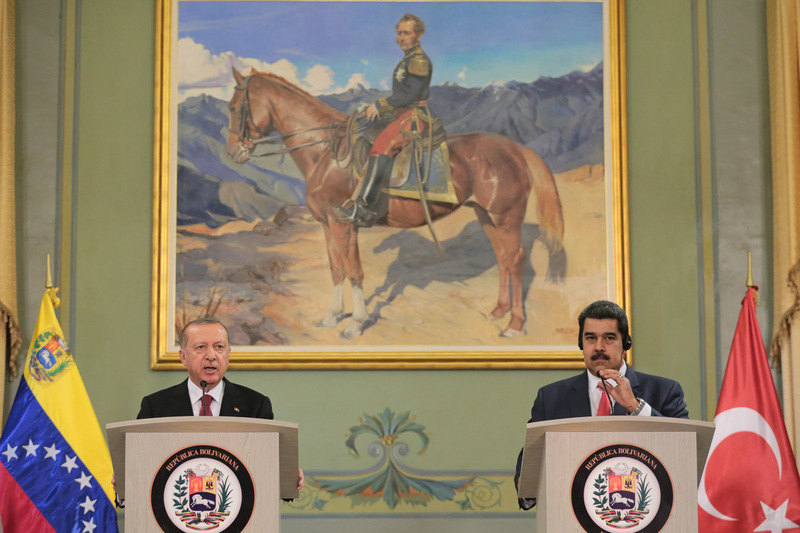 From the Ayacucho Hall of the Miraflores Palace, Caracas, the agreements began with the signing of the cooperation agreement by the Minister of Defense, Vladimir Padrino López, and the President of the Turkish military industry, Ismail Demir. 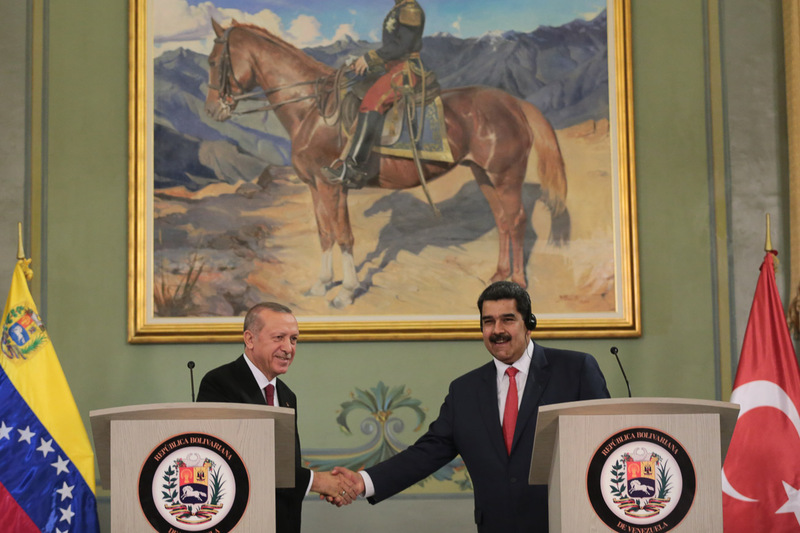 Then a letter of intent was signed between Petróleos de Venezuela (Pdvsa) and Turkish Petroleum International Company given by the oil minister, Manuel Quevedo, and the general director of the Eurasian oil company, Bülent Senol Aksoy. 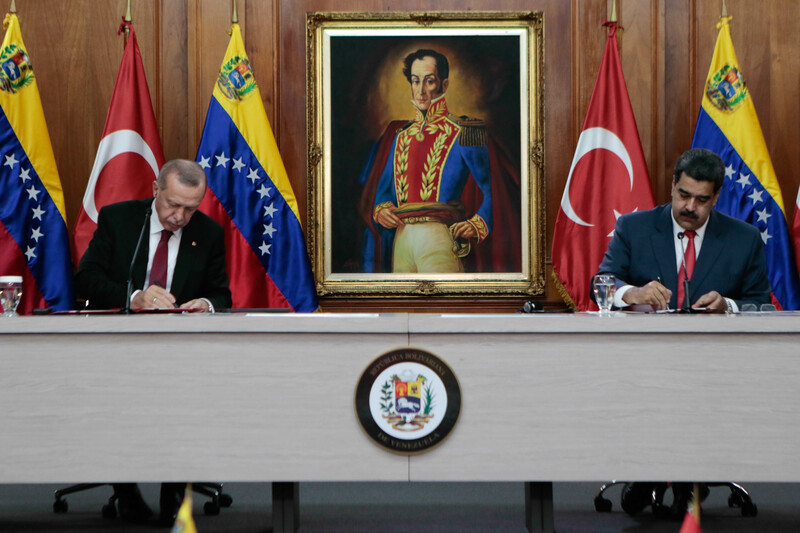 A memorandum of understanding was also reached between the Government of Miranda and the Governorate of Istanbul signed between the Miranda governor, Héctor Rodríguez and the Turkish ambassador, Sevki Mütevellioglu. In the same way, agreement was reached to establish the Bilateral Business Council between the Foreign Trade Bank (Bancoex) and the Council for Economic and Foreign Relations of Turkey. During the activity, an agreement was approved between both countries to avoid double taxation and prevent tax evasion on income and assets signed by the Minister of Economy and Finance, Simón Zerpa, and the Treasury Minister of Turkey, Berat Albayrak. 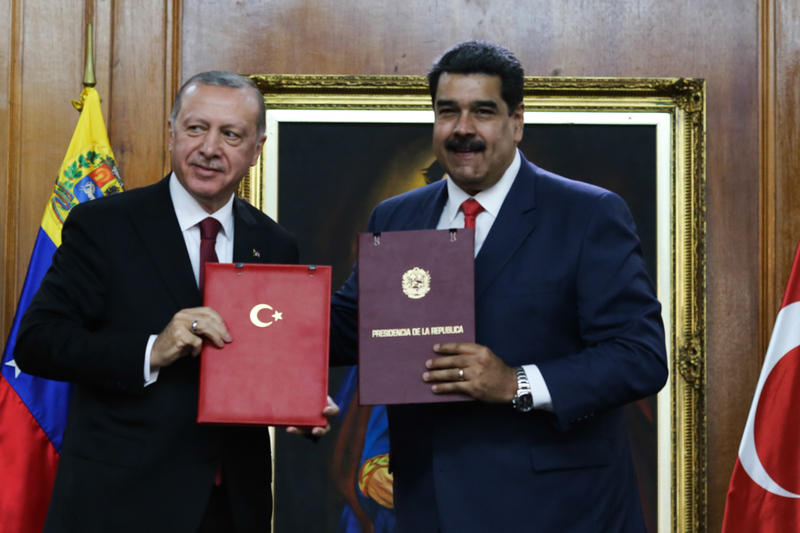 Finally, the president of Venezuela, Nicolás Maduro, and the Turkish president, Recep Tayyip Erdogan, certified a political declaration between the Venezuelan and Turkish governments. 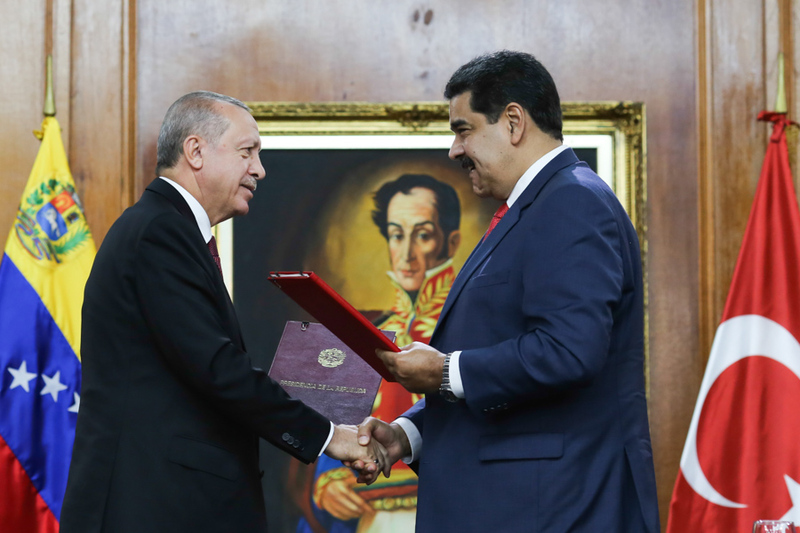 President Maduro also imposed on Monday the Libertadores Order and the replica of the sword of the Liberator Simón Bolívar to his counterpart, Recep Tayyip Erdogan. 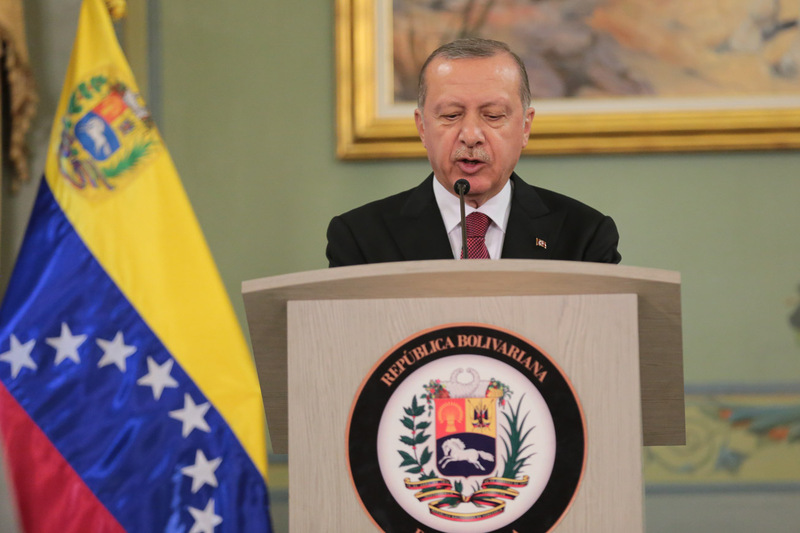 “I give it to you with a very true patriotic feeling as a true friend of Venezuela, President Erdogan,” said the Venezuelan head of state from the activity at the Ayacucho Hall in the Miraflores Palace, Caracas. President Tayyip Erdogan said that these decorations are a memory that will be eternal in the relations between the two countries. 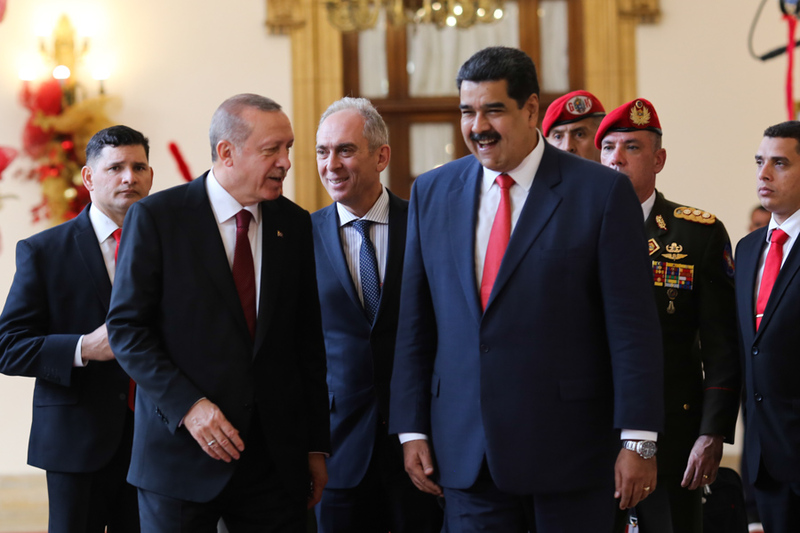 The Turkish representative was received with military honors at the Government Palace in the afternoon and in this activity the delegation of Turkey and Venezuela was present.